JAZZ AT TEN FEET TALL: Sang a couple of Jazz gigs with Bruce Harvey and Jack McFadden at this charming east-end Toronto bistro, run by Carin Redmon and Andy. 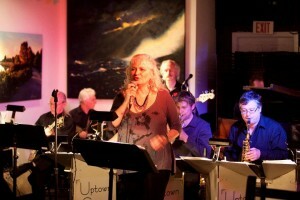 TFT had a jazz policy, that supported jazz music and musicians for nearly 10 years. Just before my third gig there, it closed down, much to the sorrow of Toronto’s jazz community. 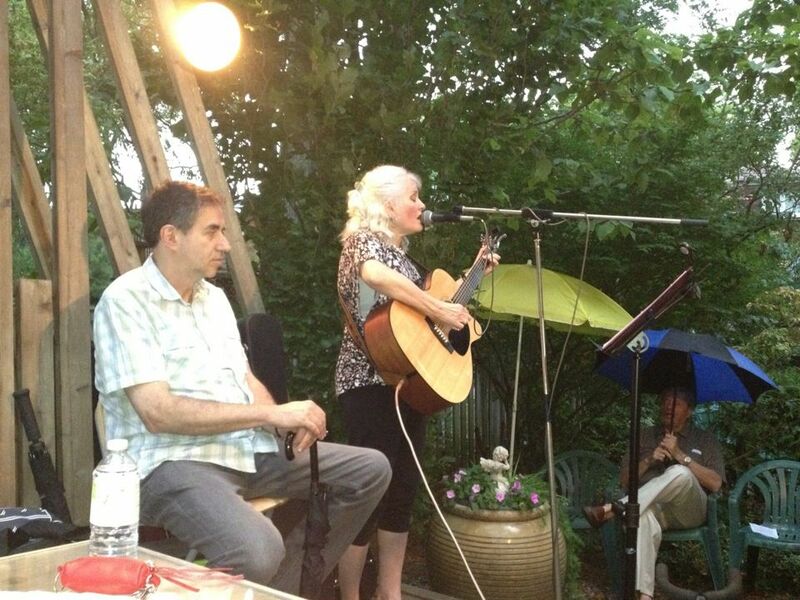 Bruce Harvey, Jack McFadden and Debbie perform at this beautiful homey welcoming bistro, Ten Feet Tall, run by Carin Redmon. 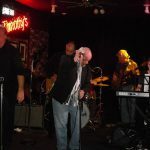 SONGS OF THE 60’S: Performed my first “Songs of the 60’s” show at the Dominion on Queen with Bruce Harvey and Russ Bosswell in November ’11. The place was packed! 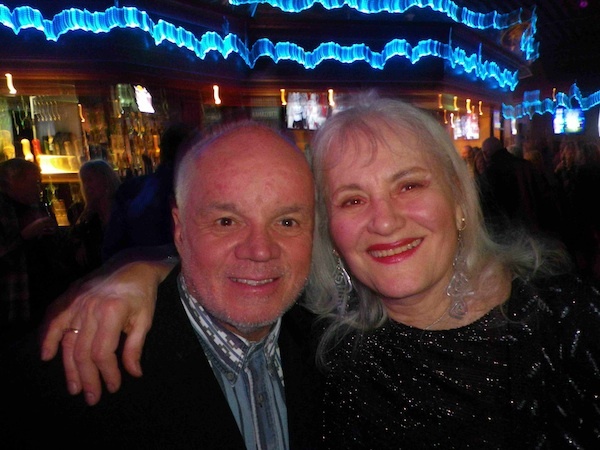 It seems a lot of people want to hear well written songs from that era – written by great writers like Bachrach and David, and sung by singers like Dionne Warwick, Aretha Franklin, Marvin Gaye, Petula Clark and many more. EDO SUSHI: Sang my jazz songs at this lovely restaurant on Eglinton W. with Tony Quarrington and Jack McFadden. It was a lovely, quiet gig, and the food they provided for us was terrific! 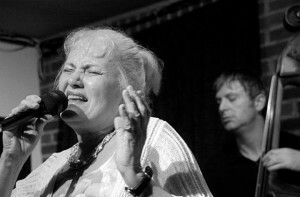 LIVE BACKUP VOCALS: Sang BG’s for Rob Young at Hugh’s Room, and for BettyRichardson as well. Also sang backups at the Westben Festival, for Rodney Brown. Paul Mills (Curly Boy Stubbs) band leader of the Rodney Brown concert at Westben. Icon, Robbie Rox. 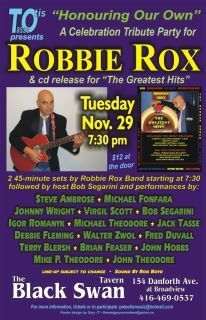 This concert, hosted by Bob Segarini, took place at the Black Swan in Toronto. 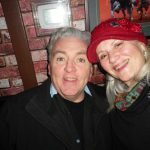 Here’s a Youtube video of me singing When A Man Loves A Woman with the great band including Michael Fonfara on keys, and Terry Blersh on Guitar. 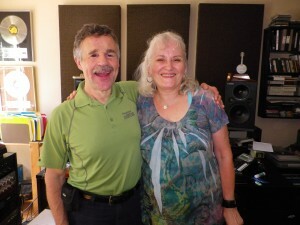 RECORDINGS: Sang backups for the new Rob Young CD, produced by Paul Mills at the Millstream. Sang and arranged backup vocals for Sam Broverman’s sensational CD project containing all Johnny Mercer tunes, and produced by Ken Whitely. 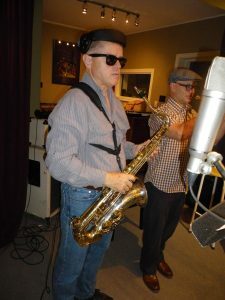 Lots of horns and swinging big band material on this project, and Sam sings it all so sweetly! ARRANGEMENTS: More vocal and instrumental arranging for The Ault Sisters. Some for Joe Sealy. One for the Satin Dolls. 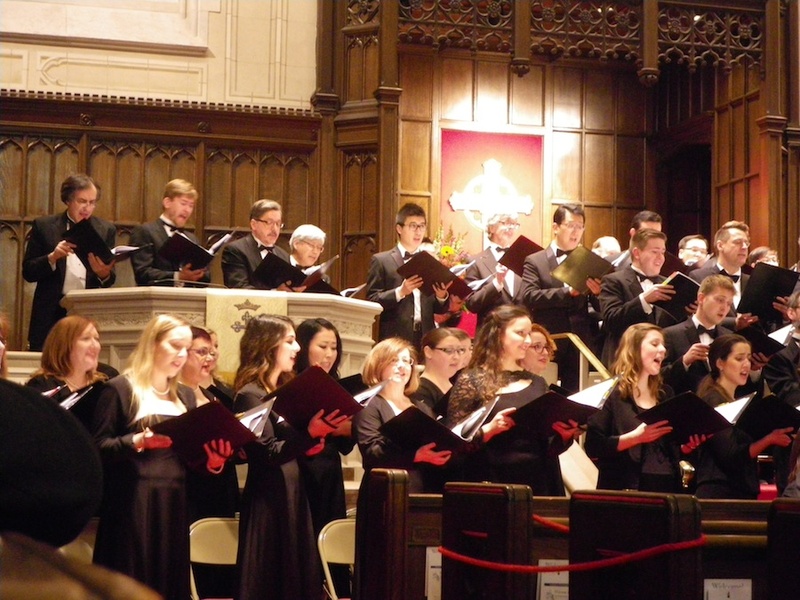 THE MENDELSSOHN CHOIR: After a good audition in June, I was accepted back into the choir – but as a second Soprano. This did not make me happy, as I can still hit the high C’s with the best of ’em – without sounds of strain, or wobble. After a second audition to see if I could still remain a first soprano – Noel Edison declared he feels my sound is better for the seconds. That’s the place I always feel the old cows are put to pasture. However, sitting beside Jennifer Taverner and Cher Farrell– both Elora Festival professional singers – made it far more palatable. I guess I’m lucky to still be in the choir. This year we sang Bach’s St. John Passion at Koerner Hall; Mozart’s Mass in C; Mozart’s Requiem at the Elora Festival; Walton’s Henry V with TSO; Brahm’s German Requiem at Koerner Hall, and of course the Messiah. 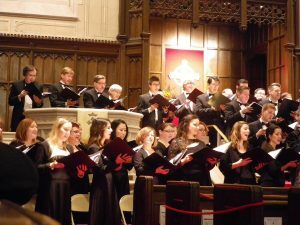 We also did our Festival of Carols, and our Songs for a Sacred Space – performed in the St. Paul’s Basillica on Power St. on Good Friday. I still love the the lofty experience of singing all these magnificent works with this magnificent choir, and the gestalt that happens when 160 voices are singing together. Can’t be BEAT! 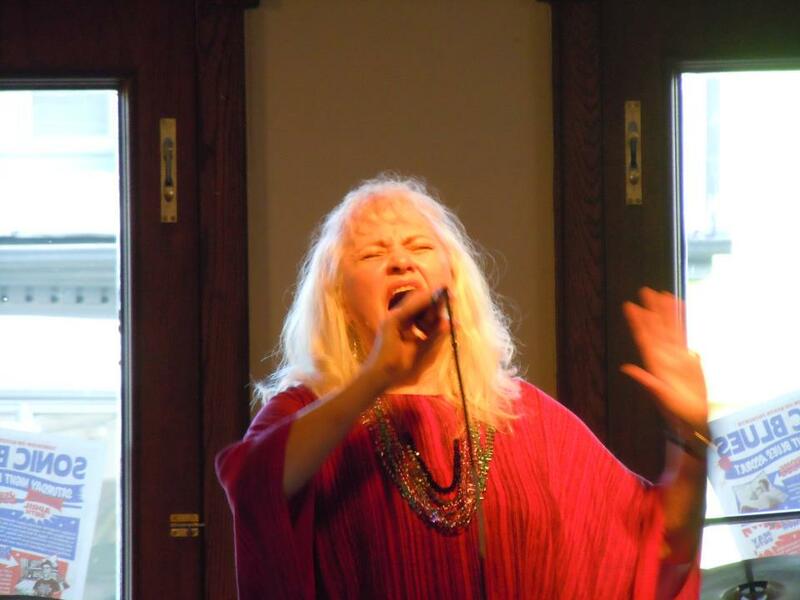 NEW YEARS EVE: Performed my first New Years Eve gig in many years in Port Elgin Ontario, on the shores of Lake Huron. Jack McFadden led the band, which also included Bob McLaren on drums, John MacMurchy on Sax and Ted Gibbons on Guitar. We had a wonderful time entertaining the New Years revellers for their dining and dancing pleasure. 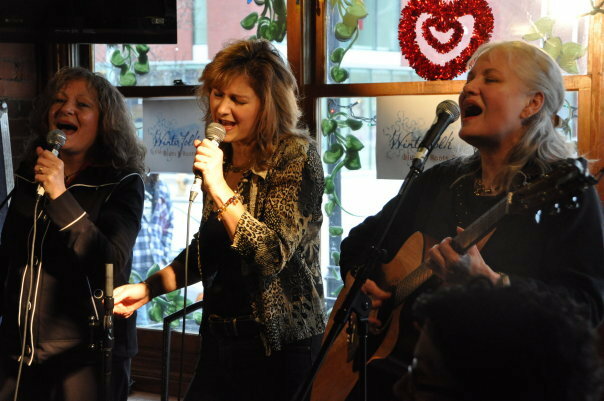 CHOIRGIRLZ performed at Winterfolk on the Danforth in February. 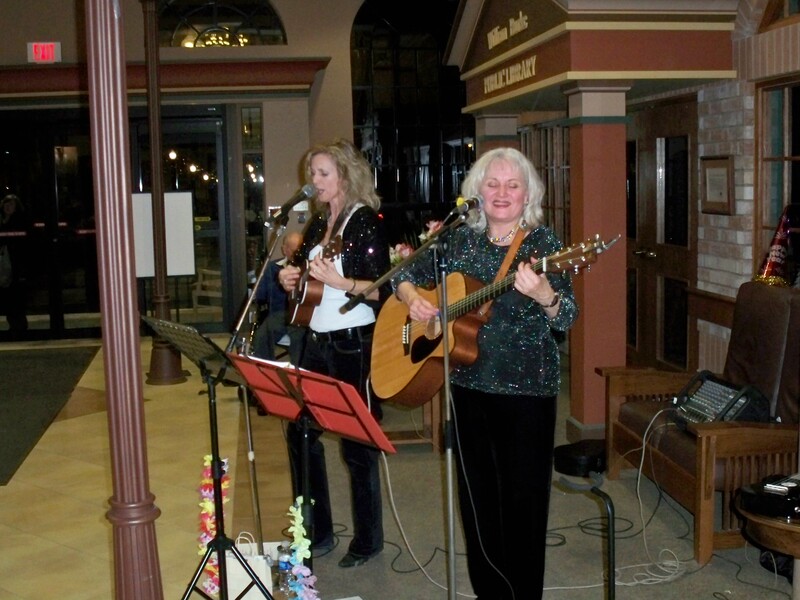 Their final concert was at Plein Air in July – where they performed to a sold out crowd of fans and friends who love their harmonies and quirky songs! Debbie sings with Bruce Harvey and Jack McFadden at the beautiful Homesmith Bar at the Old Mill. 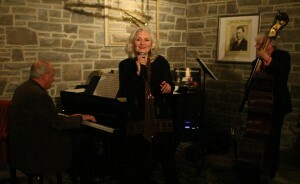 JAZZ GIGS: I performed with Bruce Harvey and Jack McFadden at the Homesmith Bar at the Old Mill on March 19th. Here’s Our Love Is Here to Stay from that evening. 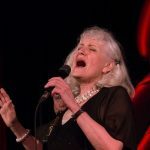 THE GALPALZ: Briar Boake approached me about forming a duo – and performing an upbeat repertoire of oldies in Retirement residences. Since Briar is a fine uke player, and I’m ok on guitar – we worked it out. 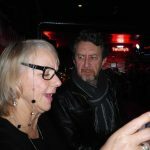 We got a few gigs and went over very well with our audiences. 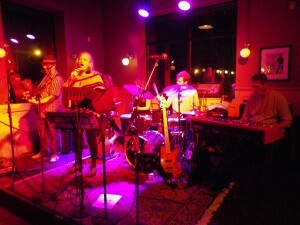 It was fun – with costume changes, and new songs. Briar was great to work with. Unfortunately with all the schlepping of gear and PA, with very small financial return, we didn’t continue after about a year. 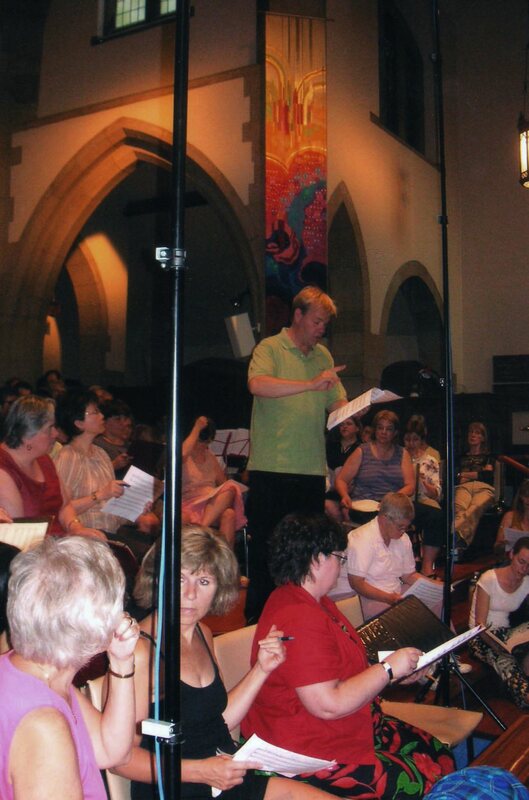 The Toronto Mendelssohn Choir with the Vancouver Bach Choir in Vancouver – rehearsing Mahler’s 8th (Symphony of a Thousand) with the Vancouver Symphony during the Pre-Olympic ceremonies. THE MENDELSSOHN CHOIR: Still in the Soprano 1 section, though our director seems to doubt that someone of my age should be able to hit the high C’s clearly and strongly. We went to Vancouver in January for the Pre-Olympic festivities. We performed under the baton of Bramwell Tovey while performing Mahler’s 8th – Symphony of a Thousand. 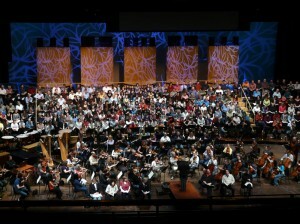 Upon our return to Toronto, we performed The Verdi Requiem two weeks later with the TSO. 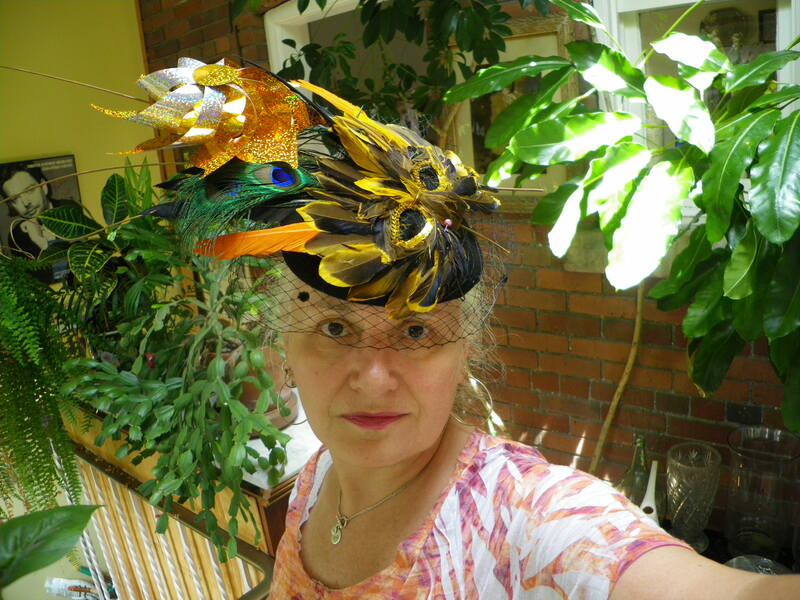 We did “Last Night of the Proms” with Bramwell Tovey – this year, with a “Kate and Wills” theme – here I am with my homemade “fascinator”. 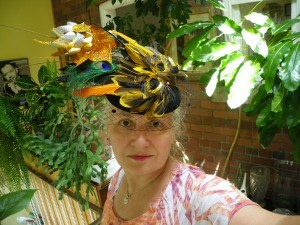 Fascinating Debbie and her homemade fascinator, fashioned for Last Night of the Proms. In November – another favourite of mine – Janacek Glagolithic Mass, and of course, the Messiah. TMC is now performing at the spiffy new Koerner Hall – a gorgeous acoustic space for us! BACKUP VOCALS:Sang backup vocals for the wonderful Betty Richardson at Hugh’s Room in November. 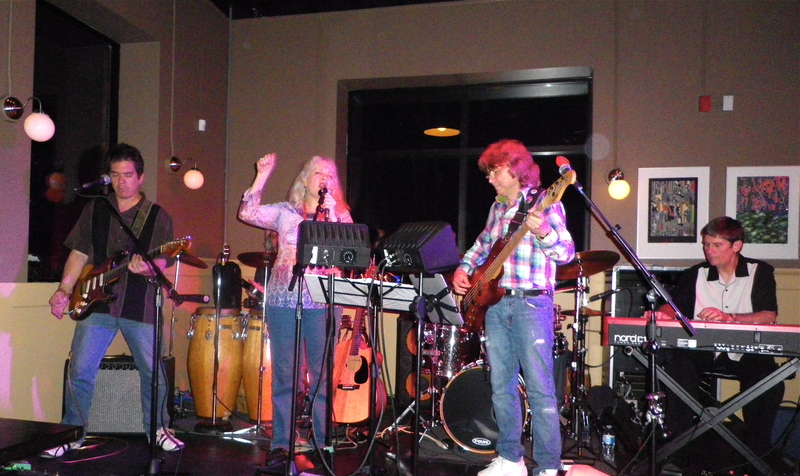 Debbie rocks it out with the fabulous Niagara Rhythm section-Steve Grisbrook on guitar, Penner McKay on percussion, David Norris on drums and Rodger Niznik on keys. 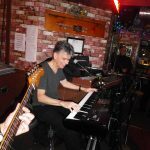 R&B: Did my yearly stint with the Niagara Rhythm Section in May, and twice guested with Robbie Lane and the Disciples as guest singer. Please check out my version of Proud Mary, as sung with Robbie Lane and the gang. FIRST ONE-WOMAN SHOW: Performed my first one-woman show – entitled “Coming of Age in Etobicoke”. It was a house concert, and very well attended. Everyone seemed to really enjoy it, and eagerly asked me to write a sequel to the ongoing story. CUJAM: Still playing that uke nearly every Wednesday night at the Dominion on Queen. Here I am singing Dream a Little Dream of me, mistakes and all! THE AULT SISTERS: Did a few vocal arrangements for this talented trio of young sisters – very enjoyable project. Switched to Logic 8 – much better and less glitchy than Logic 4.5. Makes chart writing and song recording much easier! The St. Paul’s Choir, under the direction of Eric Robertson (top left) just before Eric was fired. 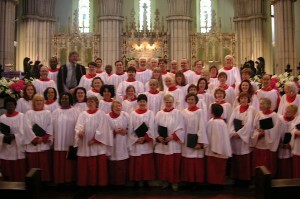 ST. PAUL’S CHOIR: Resigned my position as Alto lead in the choir at St. Paul’s Bloor Street. Politics within the church hierarchy, tainted my spiritual journey, when our beloved organist/director (and former R&B and recording studio associate) Eric Robertson was fired. Mary Ellen Moore, Wendell Ferguson, Debbie Fleming and Dorothy McDonall – ChoirGirlz with Wendell Ferguson at Summerfest 09.
in Harriston, Toronto Taste, Beaverton’s 125th Centenary celebration, Plein Air and Summerfolk. MENDELSSOHN CHOIR: Performed Berlioz Damnation of Faust in February; Mendelssohn Elijah, the Proms; Berlioz Requiem and Carmina Banana at the Elora Festival; Israel in Egypt at the new Koerner Hall; Britten’s War Requiem; and of course the Messiah. The Debbie Fleming Trio plays at Trane Studio in Toronto – featuing Bruce Harvey on piano, and Jack McFadden on bass. 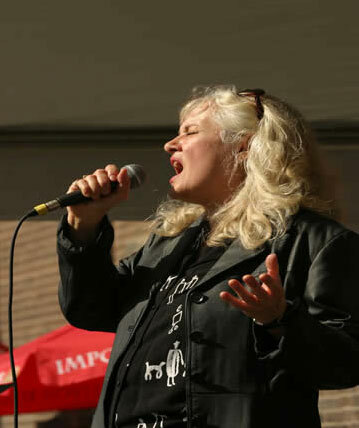 SOLO PERFORMANCES AT: Winterfolk, Statlers Cabaret, and at the Anchorage in NOTL with The Niagara Rhythm Section, and at Trane Studio with her jazz trio. BIG VOICE TV, WITH ELAINE OVERHOLT: Arranged a chart for The Fawcett Sisters, and helped to coach them for their appearance on the show, which featured Carol Fawcett coming into her own, under the guidance of Elaine. STAR WARS at the Air Canada Centre: Sang in a choir assembled by Susan Suchard. We were accompanied by an orchestra from Britain, and I met and conversed with emcee Anthony Daniels – the original C3PO from the Star Wars movie. ANDREA BOCCELLI at the AIR CANADA CENTER: Sang backups for Andrea in a choir made up of members of the Toronto Mendelssohn Choir. It was lovely to reunite and chat with David Foster, who was accompanying Andrea. RECORDING PROJECT: During the slow days of summer, I compiled a children’s CD/DVD for my grandchildren Sadie and Benson. I recorded some familar and some original songs as Gramma-Lama-Ding-Dong, and added the songs, and photos of the children to a DVD entitled “Special Times”. It was a favourite Christmas gift. UKULELE: I began attending CUJAM – (Corktown Uke Jam) and learning to play ukulele in July of this year. David Newland, and Steve McNie run this very entertaining and educational evening every Wednesday at the Dominion on Queen in Toronto. I LOVE my uke! Make Lemonade – performances by choirs everywhere! For the past 5 years, around May, I travel to Niagara on the Lake to work with the award winning Niagara Rhythm Section led by Steve Goldberger. The band is made up of Mr. Goldberger on bass and vocals, Steve Grisbrook on guitar, Penner MacKay and Sandra Marynissen on percussion, Dave Norris on drums and either Roger Nyznik, Denis Keldie or Herb Nelson on keys. What BAND! They get their groove on every time! 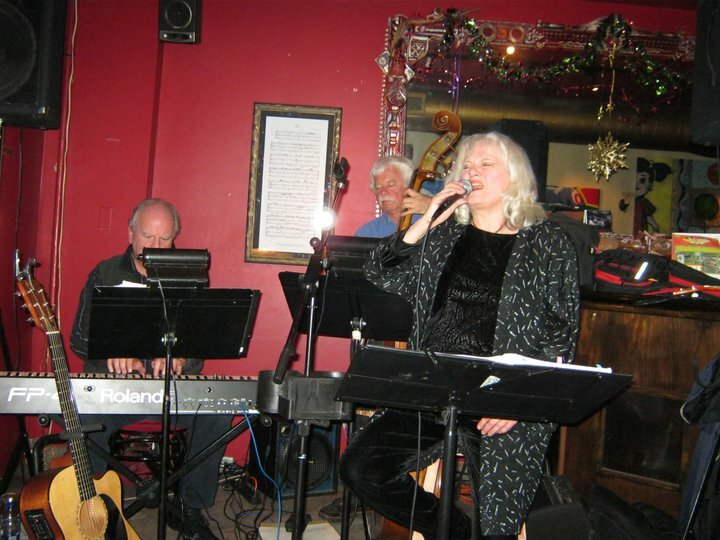 They were playing for years at the Anchorage, and later, Corks – and are now playing at the Old Winery Restaurant in Niagara On The Lake every Saturday evening with special guests! I’m very privileged to be one of those special guests. It’s always little bit of heaven for me to “loosen up the belt” on my favourite R&B standards for two long sets. It’s quite a fun adventure using my big voice once again, since I’ve been used to mostly “blendy” group singing and sweet jazz for so long. I love to get the audience grooving, and dancing their faces off. Can’t wait ’til next year! Hosted by ChoirGirlz, and featuring Crabtree-Mills, Rosemary Phelan and Peter Verity. Saturday March 29th was designated as Earth Hour throughout the world, and in order to do our very small part to conserve the rapidly depleting energy sources of our planet, we were all asked to simply turn off our lights between 8 and 9 pm on March 29th. 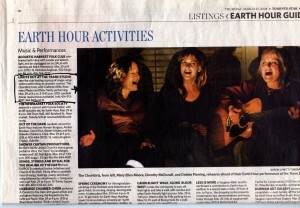 On 31 March 2007, 2.2 million people and 2100 Sydney businesses turned off their lights for one hour – Earth Hour. This massive collective effort reduced Sydney’s energy consumption by 10.2% for one hour, which is the equivalent effect of taking 48,000 cars off the road for one hour. At Trane Studio, I assembled a stellar group of singer-songwriters to provide entertainment for this concert, where we all performed acoustically, with no PA, while our audience dined on great food, to the soft light of candles. It was like a campfire — we were lit with battery operated lanterns, and we invited the SRO audience to sing along with our Earth Hour song. Interesting how quiet an audience is when they’re not bombarded with the amped up sounds blasting from the stage. Murphy’s Law: With ten entrants in this “mawkish” song contest, that has gone on for at least 10 years, under the auspices of the Flying Cloud Folk Club, I performed my song “Summer in the City”. It was a ditty I wrote out of frustration with the renovations surrounding me a few years back. My philosophy has always been “Make Lemonade” (another of my songs! ), and instead of allowing myself to go quite mad with the barrage of noise, dirt and disorder surrounding me daily, I wrote my song. Since I was told this “Sentimental Song Contest” was supposed to be with a wry and mawkish undercurrent, I figured I’d perform this “cathart” tune – without the help of my ChoirGirlz, as both were busy that night. I didn’t care if I won the prize — I am a beer and wine girl, NOT scotch (which was to be the prize, along with a box of Kleenex — very symbolic). Being a “Sentimental Songs Virgin” — I knew not what to expect, and just wanted to be there to enjoy the songs that other people brought to the table. I sang my song. I heard some really fun ones — David Newland played his uke, and sang about crying in the rain. I heard a song about unrequited love between a lobster and a crab, and about yearning for Charlotte (which I figured would win). Stewart sang an old song about a dog “Old Shep” — I remember Elvis singing this years ago. When the winner was announced, I was totally aghast that my song “Summer in the City” was the winner of the night. I think when you go into something not even THINKING of winning, and not really knowing what you’re doing — the chances of winning are quite high. (Like the time I first joined the Musician’s Curling League in the ’80’s, and we all shot a rock for the chance to win a turkey — because I had NO experience or technique in curling, and not a hope in H*%^llof winning — I shot one of the closest rocks in the competition, and walked home with a turkey for our Christmas dinner that year. The next year – when I knew a bit more about what I was doing — NOT EVEN CLOSE. ) I guess you win when you’re relaxed and have no expectations. Now I have this GOOD bottle of scotch. Hmmm. Well folks, last year was a very busy year in my life. 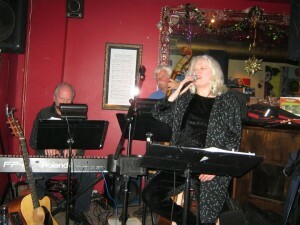 The JAZZ part of me did a few gigs with my band — Orleans Newmarket, Gate 403 and the revered Montreal Bistro. Just a few weeks after I appeared there with my band – Bruce Harvey, Jack McFadden, Donnie Vickery and John MacMurchy the favourite Jazz room in the city of Toronto closed its doors for good. 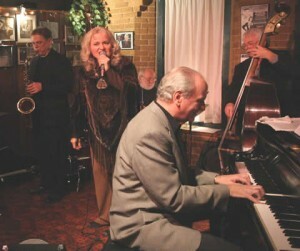 Although there are still a few small places in Toronto for jazz musicians to play, there was nowhere like the Montreal Bistro — where the grand piano was always tuned, the food was amazing, and there was a “no talking” policy while the musicians played and the singers sang. Can’t get more special than that. 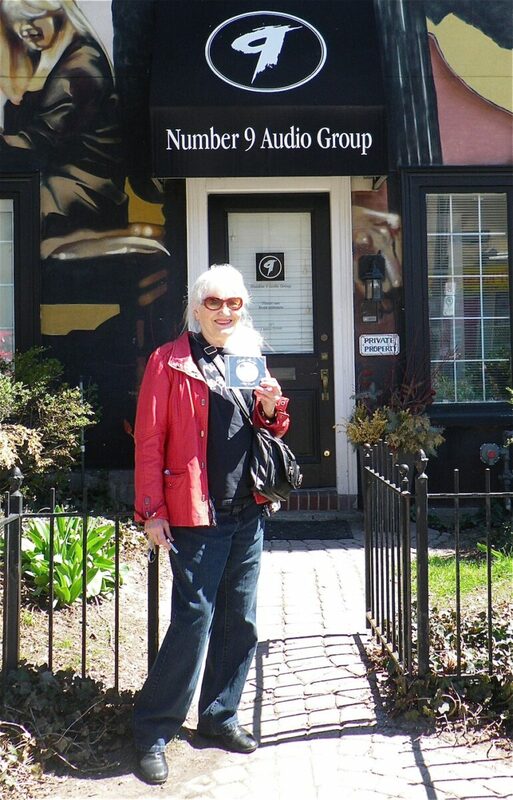 We are still mourning the loss, and hope that Lothar and Brigitte Lang will be opening another venue soon in Toronto. The CHOIRGIRLZ part of me took up about 75% of the year – arranging and co-producing our second CD entitled “Girl Time” during the summer. It’s an album we are all proud of, and it features the swingin’ Bebop Cowboys backing us up. 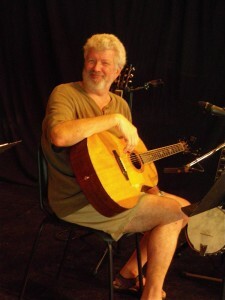 The band is led by Steve Briggs on guitar and mandolins, the co-producer of the “Girl Time” CD, and incidentally – -my guitar teacher. In the band along with Steve, are John Adames on drums, Victor Bateman on upright bass, Burke Carroll on steel and dobro, Denis Keldie on Accordian, the totally amazing Drew Jurecka on fiddle and Duncan Fremlin on banjo. Produced at Soundhole Studios owned by uber-talented Ray Montford, it all fell together like clockwork. The CD may be ordered and listened to via the ChoirGirlz website. Choirgirlz have done a lot of performing as a result of the new recording, and we’re reaching ever wider circles of appreciative fans . Steve Briggs, co-producer of Girl Time, takes a sunny moment. 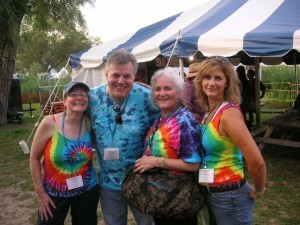 GREG KING has a slew of great photoz he’s taken of both me, and Choirgirlz — we even have a special page on his website. Go to gregking‘s website to check out the talents of this fantastic photographer. 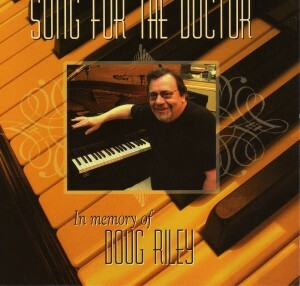 He did the cover of our CD, and there are photos on his site of the CD cover shoot. Noel Edison conducts Toronto Mendelssohn Choir, as they record Xmas CD “Festival of Carols” in a heatwave, during June 2006. ChoirGirlz and Jazz, I chose not to be a member of the Mendelssohn Singers — the smaller 80 voice unit made up of the creme-de-la-creme of the Mendelssohn Choir. 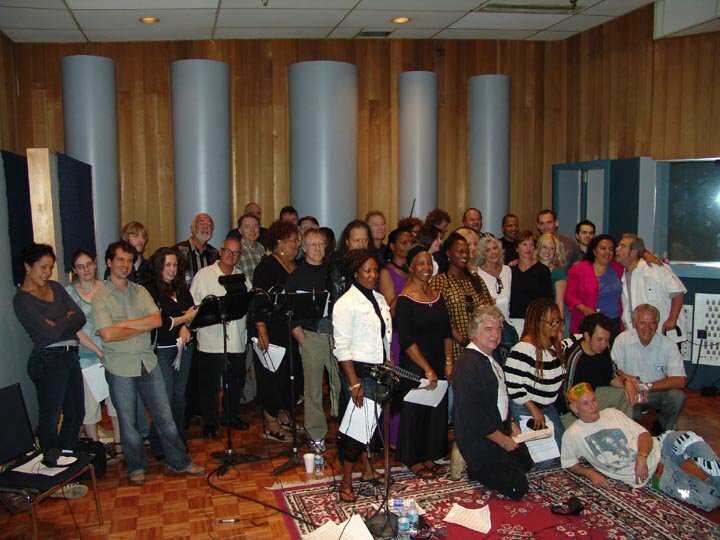 I was part of the recording of Christmas music that was done in June, and released just before Christmas this year. It is a lovely recording entitled A Festival of Carols, and will be a seasonal favourite for years to come. I also enjoyed going to Elora to sing the Mozart Requiem and the mighty Mahler 2nd Symphony — better known as “The Resurrection Symphony”. What a thrill to sing both those amazing works under the baton of Noel Edison with full orchestra! 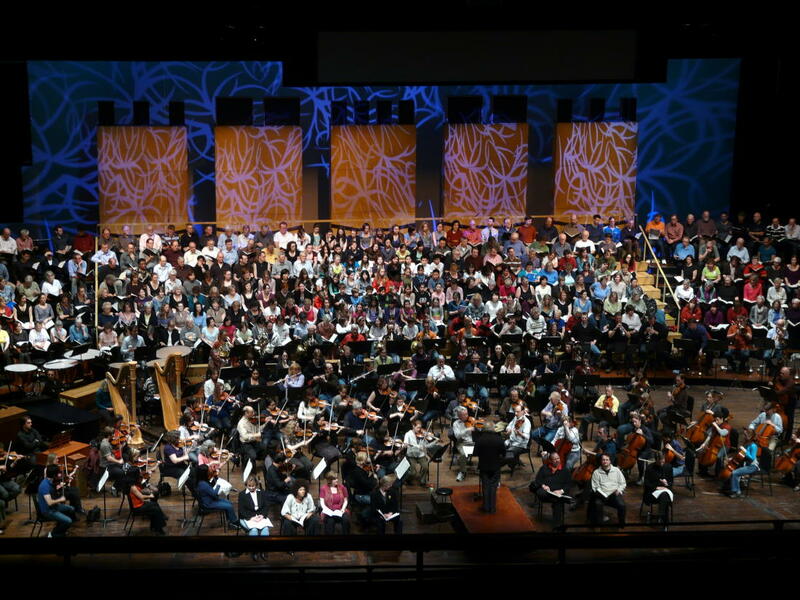 We will be performing the Mahler again this year – I think in April. The Hampton Avenue 4 part of me enjoyed thoroughly reuniting with Suba Sankaran, Dylan Bell and Tom Lillington as we sang carols at First Canadian Place and The Atrium on Bay before Christmas in 2006. The wonderful arrangements in our book just rang out pitch-perfectly, and I felt my life was full-filled musically. 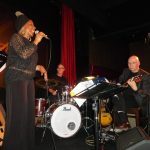 We don’t get much chance to gig together any more — Suba is heavily involved in recording and touring with her jazz/Indo/fusion group autorickshaw . Dylan has just left the talented group Cadence to pursue more writing and recording, as he is becoming greatly in demand for both these talents. Tom is busy with his piano tuning business, and also tours extensively with the Canadian Chamber Choir. With ChoirGirlz’ busy schedule, it’s really difficult to find a window of time to just get together, let alone do a gig. 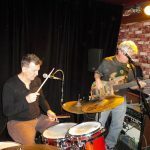 Getting my jazz trio back on the rails and doing more gigs around the GTA. 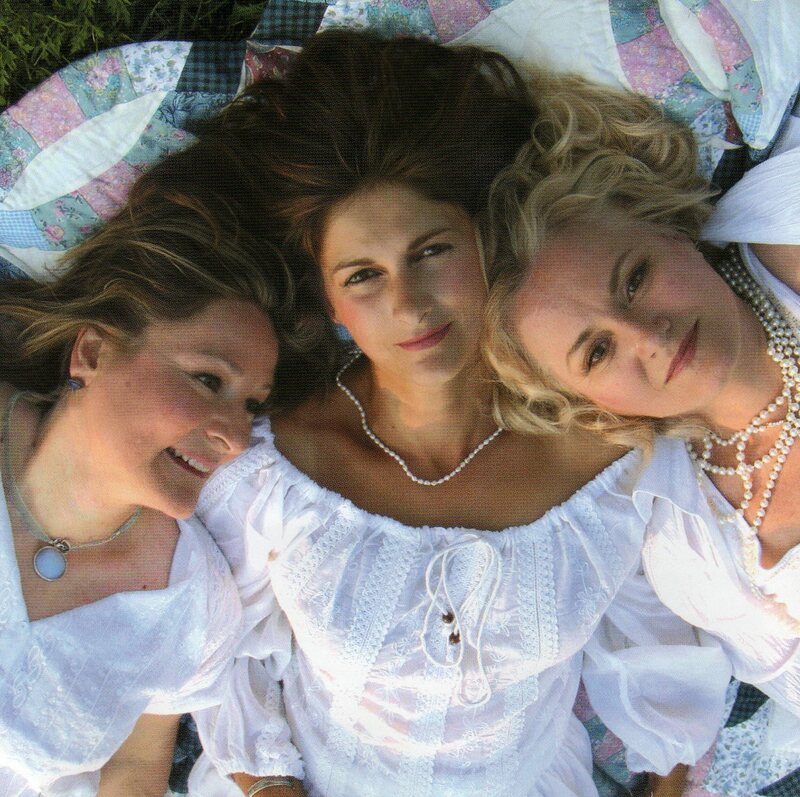 Performing with ChoirGirlz — Winterfolk is our first 2007 gig — the weekend of Feb. 9 – 11th. It’s free admission for all, and taking place in the Broadview-Danforth area. Go to Winterfolk for more info about venues. 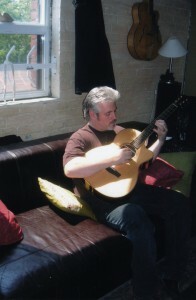 Practising harder on GUITAR and taking a few more lessons from Steve Briggs. Getting back to a more healthy workout regimen at Metro Central YMCA. Writing more jazz vocal arrangements and having a few more “singoffs” with members from Hampton Avenue and Cadence. Writing more songs for ChoirGirlz. Laughing more. Enjoying my granddaughter Sadie. Spending time with friends. Eating healthily, and drinking good beer, enjoying life. Parti-Gras, the weekend before the Beaches Jazz Festival, took place at the Distillery district. Debbie and her quartet were to follow the wonderful June Garber in the afternoon. Rain began to fall, and the outdoor “Tankhouse Diva Stage” was protected only by overlapping patio umbrellas. By the time Debbie and her band stepped onto the stage, the rain was coming down steadily, and dripping onto the drumstool. The kit was moved to slightly drier ground, tarps were loaded atop the floor monitors to protect them, and to successfully muffle the sound coming out of them. Nobody seemed to think about protecting the singer, and Debbie stood in a puddle while holding a mic and singing “Raindrops Keep Fallin’ On Your Head” as a soundcheck tune. A few diehard fans took to the tables and chairs, wrapped in protective raingear, and prepared to get up and dance anyway! During Debbie’s third song, a massive series of “poofs” took place in the speakers, which immediately lost power along with the piano, and that was the end of that! Debbie felt very frustrated not to be able to sing her songs for the audience who had come to hear her, however she was saved from electrocution, and lived to tell the tale. Debbie Gets ’em Dancing Wherever She Goes! Debbie had a busy run of gigs in May and June 2005. She guested to a full house in Markham, with the marvellous Sgt. Pepper’s Quartet consisting of the great Norman Amadio on piano, Frank Wright on vibes, Jack McFadden on bass and Don Vickery on drums. These guys swing their patooties off — and Frank Wright is downright amazing as he continuously dances like a twenty year old from one end of his vibes to the other! The Distillery Jazz Festival was fabulous — if a little chilly. The crowds were out to have a good time, and Debbie and the boys got them up and dancing in front of the stage! Debbie’s catchy tunes usually do that — it’s hard to stay in your seat with the infectious rhythms — swing, bossa, Latin — ole! 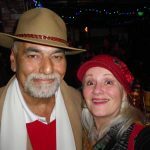 For more photos of Debbie and her gigs, check out Greg King’s website — Deb has her own special feature page. 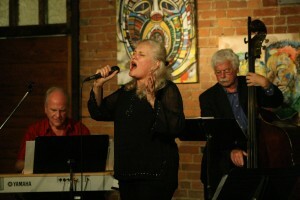 Debbie, Jack McFadden and Bruce Harvey appeared at Le Select Bistro during the Downtown Jazz Festival. A white-tuxed Bob Segarinni and his very nattily dressed party of four graced the narrow aisle at LeSelect with some fancy ballroom dancing while Debbie filled their requests. 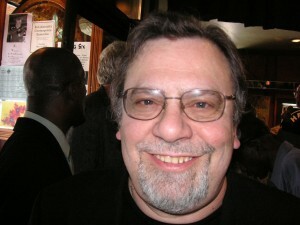 (Journal of the New Jersey Jazz Society). **”Steppin’ Out” arrived today and I love it. It will go in our show “Jazz World” starting next week. Great songs – well done, and great arrangements too I think. All good wishes for your musical future!! **Wow!! You’ve got a HOT CD!! Thank You so much for sending it to us at WJSK. I just received it this PM, previewed it, and into our ON AIR programming computer it went. 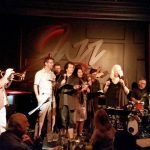 We have a “Traditional Jazz’ format daytime, with a smooth, layed back jazz style on our evening programming and “Steppin’ Out” covers both time periods! I am one who appreciates diversity in one’s career, now you’re on top by going SOLO! A salute to Jim Morgan, who definitely has “ears”. Your CD technically, is excellent. *Thank you for sending Debbie Fleming, “Steppin Out”CD, to WBCX at Brenau University in Gainesville, GA! I’m sure we’ll be adding more tracks in the future on Eclectic 89.1 WBCX covering NE Atlanta and North Georgia! **You have every reason to be proud of the project, good music, good rhythm, nice groove, great voice, very professional performance (choosing your partners is very important and a good indication to the attention given to the project). One can be only complementary and respect your maturity and musicianship. I am very glad to have this little treasure and my audience will be sharing my delight with me tomorrow night (Thursday) during the show as 1st introduction with more to follow in the coming weeks. **My audience sure liked you, Debbie, got a couple of calls saying so. I have very faithful & devoted people and they are constantly in contact with me. If I pass something that is not appreciated I’ll know about it within minutes). without waxing any saccharine sentimentality. MacMurchie’s saxophone solo is free of mindless notes, He gets after this number with an artistic zeal bred of professionalism and talent. hear more of this fine artist. Fleming again brings this tune to life with her interpretive powers. I highly recommend this recording, it is not only tasty and cool, it has more hits than a relevant google search. 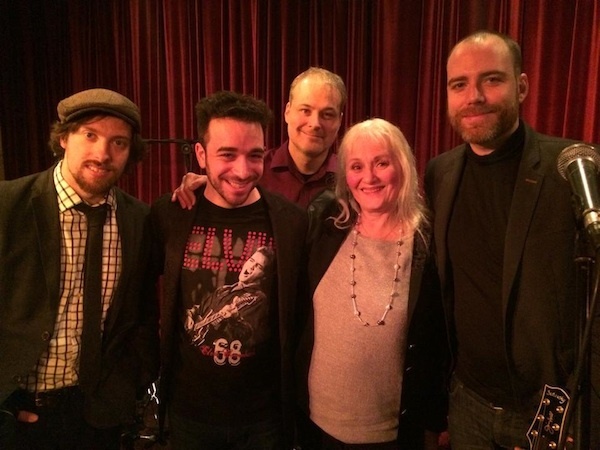 It was a cold frosty evening on Monday January 24th, but there was some hot jazz, and some warm vibes permeating revered Montreal Bistro, as Debbie Fleming took to the stage, backed by her stellar band. The room was close to full, and the audience was enrapt as Debbie soared through her originals and cover tunes. 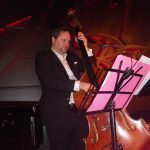 Bruce Harvey gave excellent support on the beautiful grand piano, as Jack Mcfadden pumped out the rhythms on his upright bass. 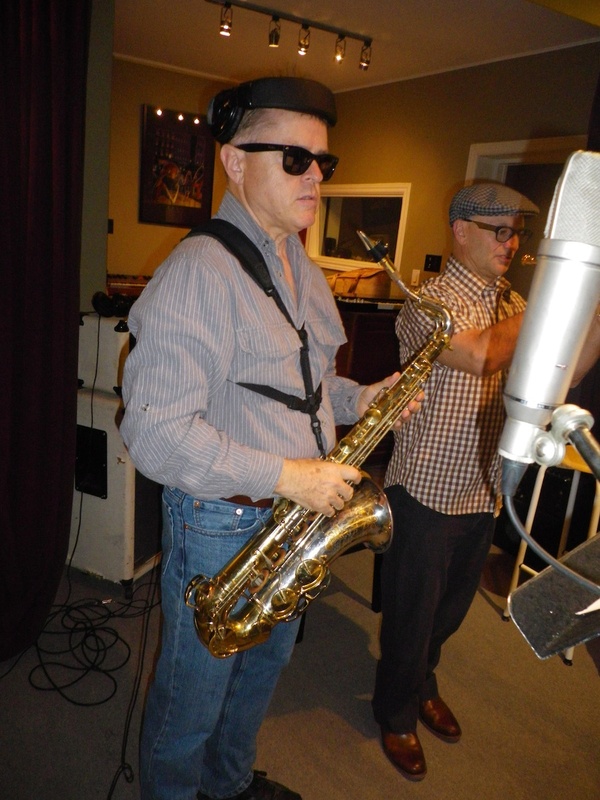 Don Vickerytapped out some fine rhythms on drums, and John MacMurchy played some exciting solos on saxophones. Debbie and John did a number of duets throughout the night, and Debbie’s treatment of heartfelt ballads such as “Suppertime” and”Lush Life” evoked audible catch breaths from the audience. 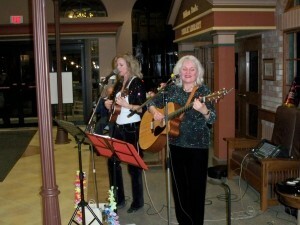 Many compliments came from the audience who enjoyed and were amused by Debbie’s quirky lyrics. 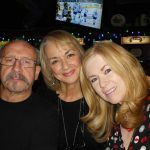 Many of Toronto’s finest singers and musicians came to support Debbie — Julie Michels, Michael Danso, Michele Mele, Gregg Lawless and Steve Briggs, as well as Larry Green from Jazz.fm. 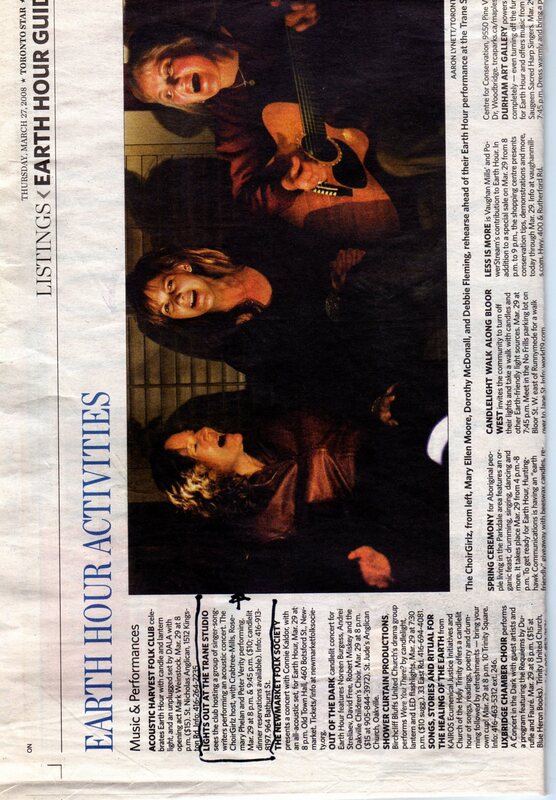 Toronto Star Review of Debbie’s new solo jazz project “Steppin’ Out”In a Toronto Star feature on Thursday Dec. 23, 2004 headlined “What’s On Disc”Star Jazz Critic Geoff Chapman includes Debbie Fleming’s “Steppin’ Out” under “Some good Canadian discs that slipped past the review radar this year. 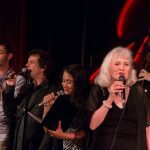 First Vocal Jazz:”*Debbie Fleming’s Steppin’ Out on Riverdale shows off her versatile pipes, big range and quirky originals like “One More Birthday Blues” and “Let’s Jive”.